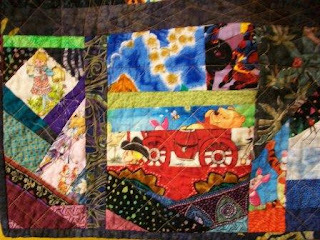 This baby quilt is for fellow medical blogger Scutmonkey, so I tried to make sure there were several monkeys throughout the quilt. Even though this baby is a girl, I wanted elements that would be interesting for boys and girls. 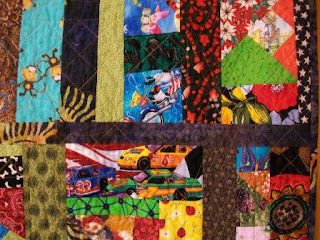 The quilt top was made in a crazy quilt fashion using scraps. It is machine pieced and quilted. 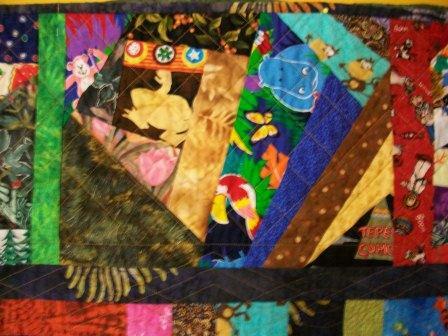 The quilt measures 38.5 in X 48 in. The next few photos are to show some of the fun things hidden in the quilt. Here you can find Holly Hobby, a cowboy, a wagon, Winnie the Pooh, Piglet. In this one there’s a pink monkey, a blue hippo, a butterfly, a clown, a parrot, and more monkeys. In this one, more monkeys, a dog on a motorcycle, piglet, a race car, ladybugs, and Holly Hobby. In this one, there is a sports car, a dancing girl, skiers, flowers, and lots of colors (yellow, green, red, blue, purple). Here’s the back. Remember my previous post about the quilt that I took apart. 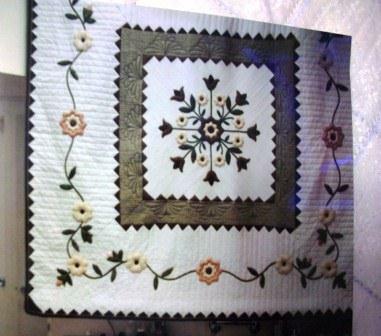 And here you can see some of the quilting. 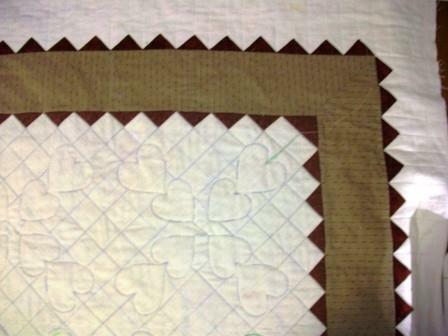 I marked and did the quilting from the back. 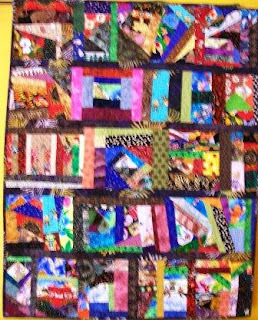 This quilt is no longer. 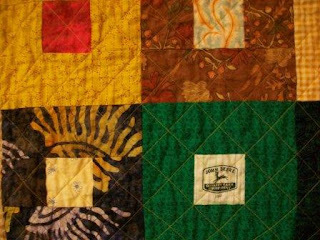 I made it and entered it into a national quilt contest back in 2005 (I think). It actually looks better in photos than it did in real life. The roses, stems, and leaves are all hand appliqued. 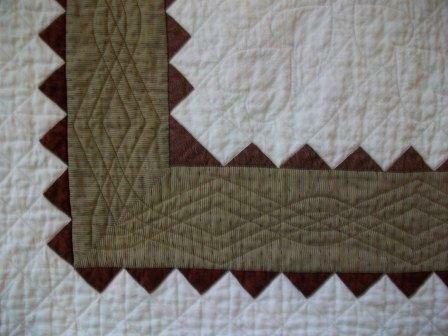 The saw tooth borders are hand appliqued too. The three areas are machined together. 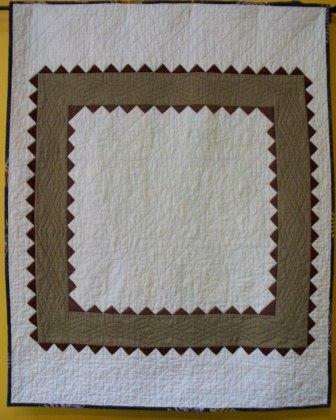 I don’t recall the exact measurements of the finished quilt but think it was approx 60 in square. It was machine quilted. 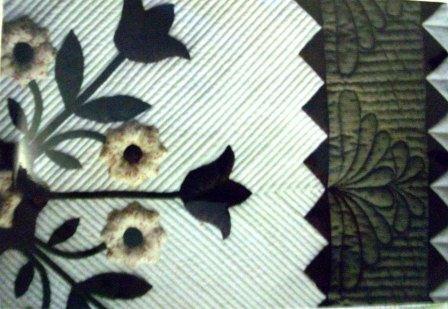 Here is a close up which shows how stuffed the roses are and some of the quilting. 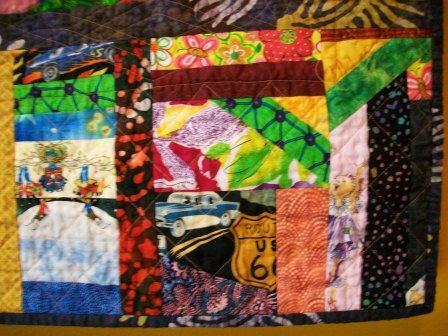 I wasn’t happen with the quilt, so after the contest I took it apart. I “harvested” the roses, leaves, and stems and have used them in various projects. The background I am currently using as the back of a small quilt (40 in X 50 in) which I’ll have finished in a few weeks. Here you can see where I have begun the quilting. Yes, it’s been five years since I started this blog. The title underwent a small change this past fall when I closed my plastic surgery practice and took a job with the disability determination service office as an SMAC. I have found the job interesting, am learning a lot, and have great colleagues. I do miss surgery, but the positive changes have outweighed the negative. I have found it difficult to blog about medical stuff on a regular basis but hope that will change. I have also found with all the reading I do at my new job I don’t find myself reading as many blogs as I did. I apologize to all you good medical bloggers. I am happy @bongi1 continues to write at other things amanzi. Dr. Rob resurfaced this year with a new blog: More Musings (of a Distractable Kind). We lost a fellow blogger this past fall, but this past Monday another fellow blogger resurfaced on twitter. You may recall the blog Rural Doctoring, she went by @ruraldoctoring on twitter, now is going by @madhungrymind. This week is tied to another anniversary for me, the loss of my mother who died three years ago this Saturday. Thirty years ago this month I graduated from medical school. Here is a post on a memory from my junior year: My First Surgery Rotation (August 7, 2008). Thank you all for the allowing me to be a member of the medical blogging community. I truly value your friendship. I have finished the baby quilt using a simple pattern I have come to love. It was mailed earlier this week to a new grandfather for the grandchild to use. The quilt is machine pieced using multiple fabrics from my stash, many were scarp pieces or left-over squares. 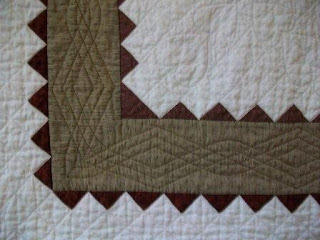 It is machine quilted in a simple cross-hatch pattern. It measures 42 in square. 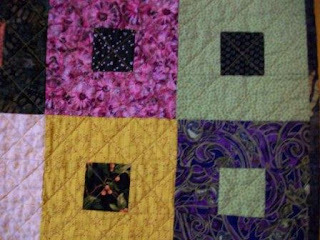 Here is a close up of some of the squares to show the fabrics better. Check out the butterflies and the dog bones. Here's another. It's difficult to see, but the yellow fabric has red stars throughout. I love the John Deere center in the green block. And another. 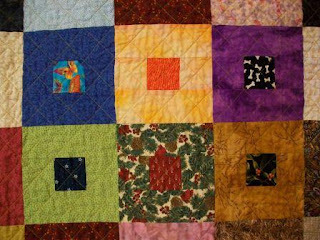 The back of the quilt uses the green fabric from the upper-right square with the black center. I’m currently working on two projects, one quilting and one knitting. Here you can see the blocks of a new baby quilt. I have actually finished piecing it and have begun the quilting. 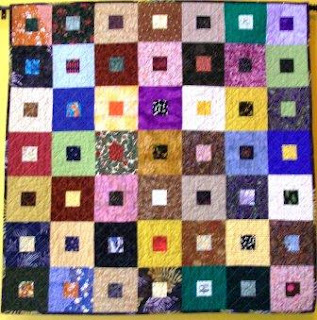 The quilt will measure 42 in square when done. The knitting project is a scarf using Blue Ridge Yarns Silk Shimmer Lace yarn (100% silk) and the pattern Three Sisters Scarves # Three by Monika Steinbauer. I know who will receive the baby quilt when it’s done, but I have yet to decide who will receive the scarf. I am enjoying the process with both projects.